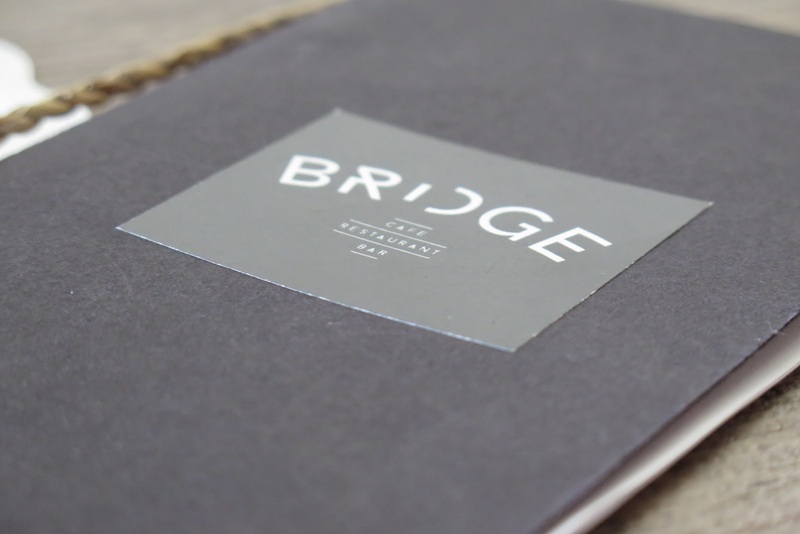 Featuring refined European specialities, Bridge Restaurant & Bar (BRIDGE) allows diners the opportunity to embrace a relaxed dining experience in a chic bistro setting and fulfil your usual pastime of brunching on the weekends. BRIDGE offers a taste of modern European cuisine with a spread of lunch and dinner favourites that include the Heirloom Tomato Mozzarella ($16++), featuring eight types of seasonal tomatoes; Hokkaido Scallop Carpaccio ($16++); Whole Boston Lobster with Kombu Couscous ($48++); New Zealand Blue Cod ($29++); Truffle Chicken ($26++) and more. Together with head chef Sky Chan and his team, BRIDGE had created and introduced a wide selection of brunch menu options, including Truffle Honey French Toast ($18++); Bridge Benedict ($20++); Beef Stew ($26++); Lobster & Prawns Capellini ($30++); Lobster Croissant ($36++); and of course, you can round off the meal with delectable homemade desserts like Creme Brulee ($9++) or the signature Deconstructed Cheesecake ($14++). 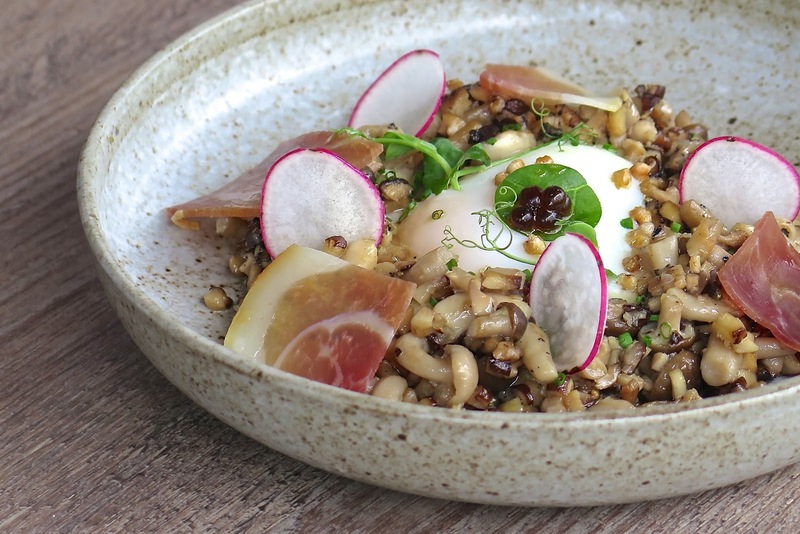 For a suitably savoury egg element to your brunch, try the Organic Egg Prosciutto ($17++). Eggs and prosciutto di parma are a perfect marriage, the sautéed wild mushrooms and truffle mash potato adds an extra punch to the flavour. When you break the sous vide egg and mix together, you’ll get a taste of decadence. 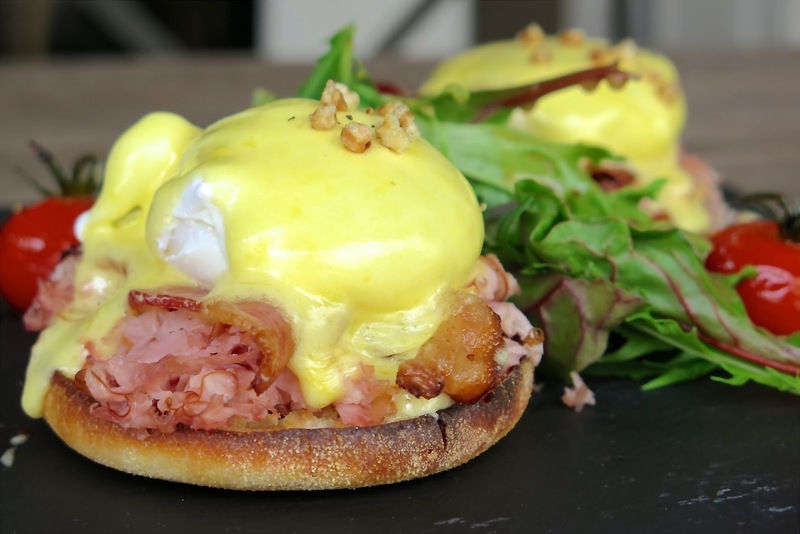 BRIDGE gives the breakfast classic Eggs Benedict a refined touch by loading black forest ham and bacon between the poached eggs and toasted English muffin. The champagne hollandaise sauce is made in house and the Bridge Benedict ($20++) is served with a side of mesclun and drizzled with truffle honey vinaigrette. Boasting a sweet and earthly fragrance is the homemade Truffle Honey French Toast ($18++). The brioche is toasted till brown, jazzed up with drizzling with imported truffle honey and cinnamon sugar, served with a dollop of truffle honey ice cream and berries on the side. 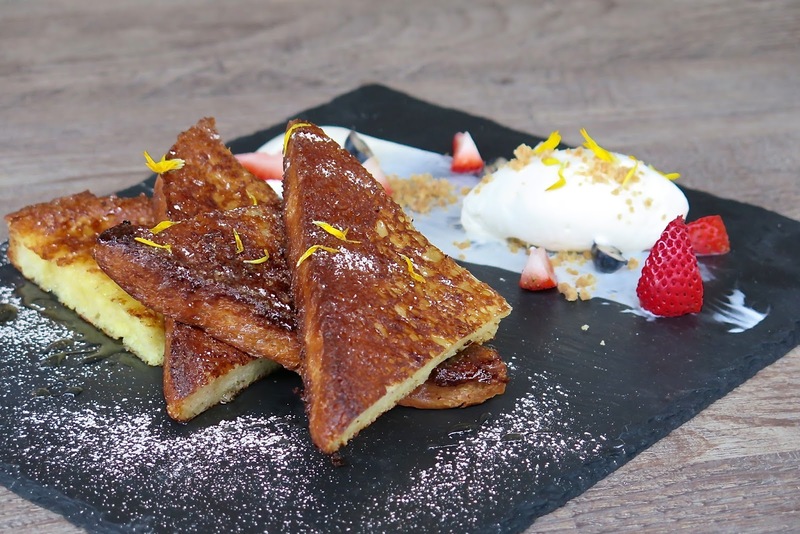 French toast is one of my favourite breakfast choice, I like BRIDGE‘s rendition of french toast and wouldn’t mind if the brioche being drenched with truffle honey. The Beef Stew ($26++) takes on the heartier side of the brunch menu, served with truffle mash potato and baguette. 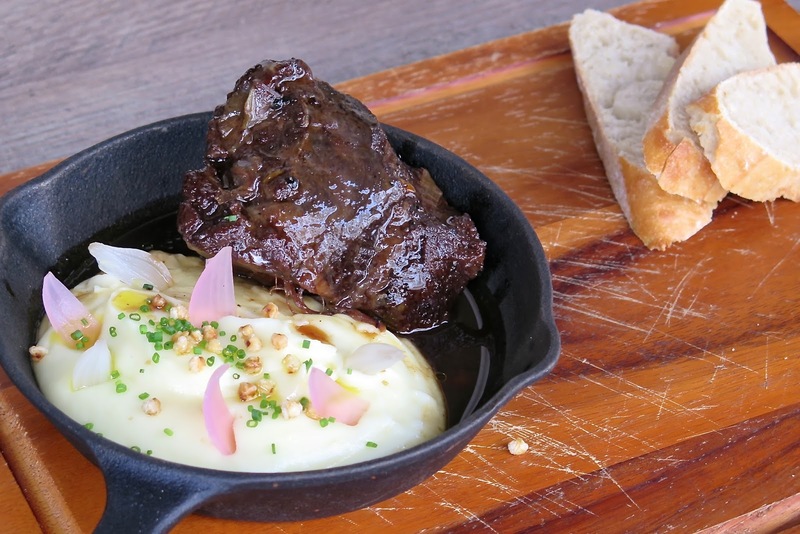 The classic slow-cooked beef cheek dish is a win amongst all the brunch items I had at BRIDGE. Hearty, tasty and full of flavours, this scrumptious and protein-packed beef stew is perfect for comforting your soul after a long week of work in the office. There’s already a BRIDGE Croissant ($20++) on the menu dressed with bratwurst, scrambled eggs, and black forest ham. 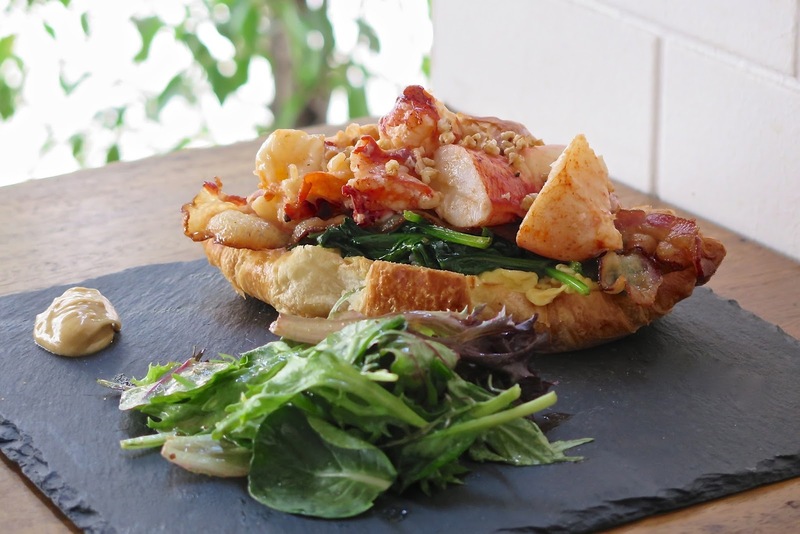 Chef decided to give the croissant a new and luxurious take by introducing the Lobster Croissant ($36++), consisting chunks of lobster meat, scrambled eggs, bacon, baby spinach and mesclun with truffle honey vinaigrette on the side. The lobster croissant added a new dimension to the highly hyped lobster roll, which we all thought was already passé. I was a little skeptical about putting everything such as the scrambled eggs, bacon and baby spinach onto the croissant. Prefer my croissant to be done crisp and flaky with layers of buttery flavours, all the ingredients seems to have masked the buttery flavours of the croissant, as well as the natural taste of the lobster was a tad overly done with seasoning. Perhaps swapping the baby spinach and scrambled eggs for a bit more of the luscious lobster will raise the level of this dish higher and with the good price point, the lobster croissant will surely be a hit among the diners. 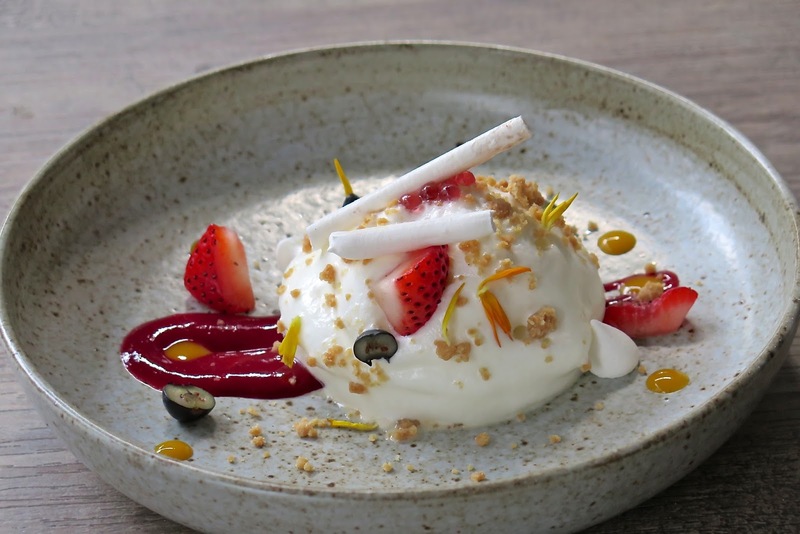 Sweets are simple, but extravagant with a cute looking plated dessert featuring the Deconstructed Cheesecake ($14++) made by layering homemade raspberry jam, passionfruit puree, parfait, and lemon cream cheese foam. I can’t leave out the fact that it looked like a bunny from this angle, full marks to the chef on how artfully and fun it was presented. Whether it is a family get-together, gathering of friends or just a relaxing brunch for two, BRIDGE at 31 Seah Street meets the desire of every diner with its tasteful decor and cosy setting, the restaurant & bar can seat up to 60 people indoors and 8 al fresco comfortably. Dinner set – BRIDGE also offers a sumptuous four-course dinner set ($55++ per person), comprising a soup, appetiser, main and dessert. Lobster and Wagyu ribeye mains are available for an additional $20. Dinner sets will come with complimentary Aqua Panna or San Pellegrino. Lunch set – Perfect for the nearby work crowd, BRIDGE offers delicious weekday lunch sets (three-course $29++ per person), where diners can choose from a selection of appetisers, mains and desserts. Each lunch set is served with complimentary ice lemon tea, with top-up options available for other beverages.